Aluminum blinds are a practical and durable solution if you need privacy, insulation, and an elimination of harsh sunlight in your home. To keep your aluminum blinds looking and operating their best, it’s important that you clean them regularly to prevent the buildup or dirt and dust on the slats and inside the moving parts of the headrail. Follow Blindster’s instructions below to safely and effectively clean your aluminum blinds and maintain their appearance and function for years to come. Step 1: Inspect your blinds. Before you begin cleaning, take a moment to inspect your blinds and determine how thoroughly they need to be cleaned. Blinds that have a light accumulation of dirt and dust often require nothing more than simple spot-cleaning, while blinds with heavy amounts of mold, mildew, and other debris may require more intensive cleaning. Step 2: Follow the manufacturer’s cleaning and care instructions. Your blinds came with instructions for cleaning and care that should always be followed to prevent damage. 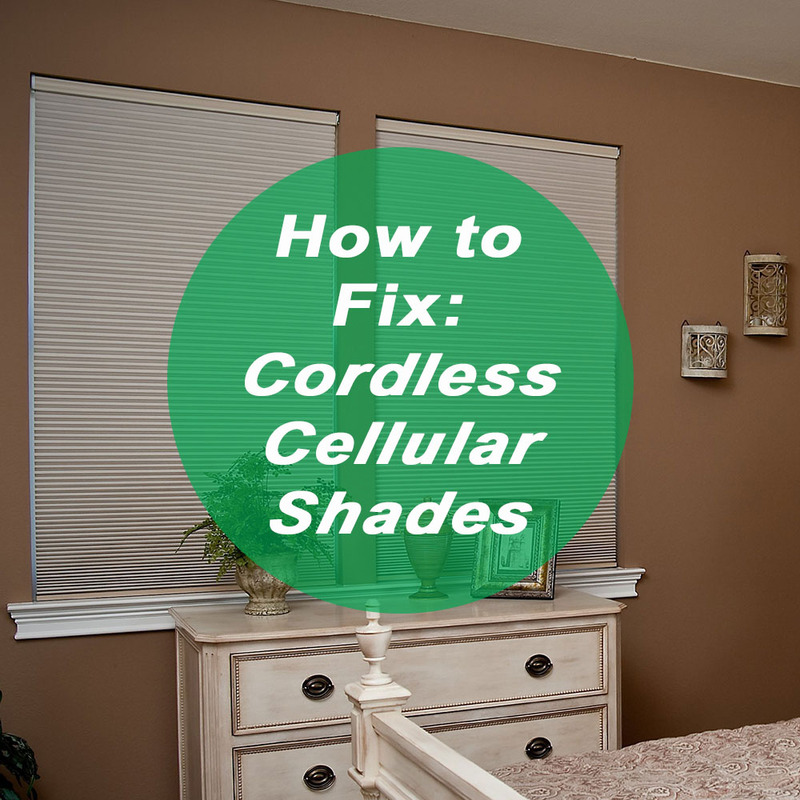 Aluminum blinds are more durable than many other types of blinds, but certain types of chemicals can strip away the metal or cause it to become discolored and damaged. Before using any cleaning chemicals on your blinds, always spot test an inconspicuous area first to test for possible damage or discoloration. Step 3: Gather the items you’ll need to clean your blinds. Once you’ve determined how thoroughly you need to clean your blinds and how to safely clean them, it’s time to gather the items you’ll need. Grab a bucket filled with warm water and a mild soap or detergent, a soft sponge, a feather duster, and a vacuum cleaner with a soft brush attachment to get started. These items should be sufficient to remove caked on dirt, dust, mildew, mold, and pet hair from your blinds without causing damage. To prevent water from pooling and possibly damaging your floor or window sill, you should also place something underneath the blinds, such as a spare bedsheet or bath towels to absorb any water or cleaning products that run off from the blinds. Step 4: Clean your blinds. With all of your cleaning supplies in hand, it’s time to get to work. Start by using a feather duster to remove any surface dust and dirt from the blinds. Run it along every exposed surface and rinse it as necessary to remove any accumulations. After using the feather duster, use your vacuum’s soft brush attachment to remove any dirt or dust from more hard to reach places or from areas where the feather duster won’t fit, such as near the headrail and near the internal components of the blinds. 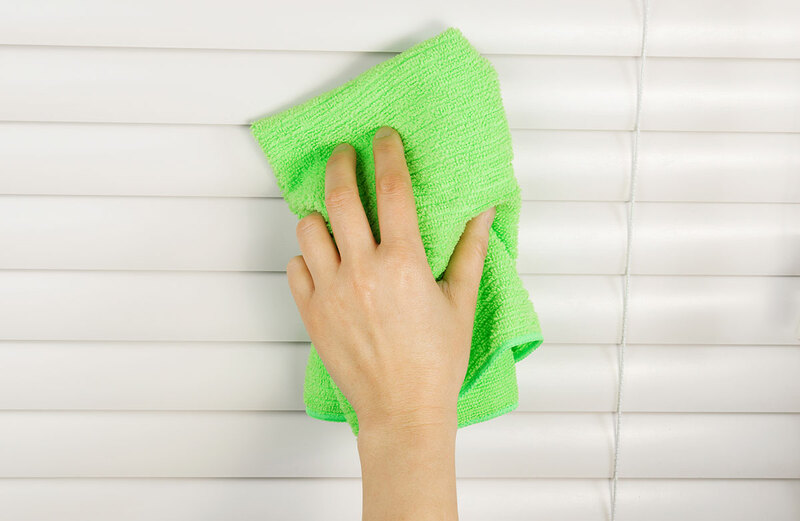 If your blinds require more extensive cleaning, a sponge dipped in warm water mixed with a mild soap or detergent can help lift any caked on debris. Be careful while cleaning to avoid putting excess pressure on the blinds, as that can cause them to bend or even break. In addition, always wipe away any excess moisture left behind by the sponge. Finally, if your blinds aren’t coming clean with spot cleaning, you can remove them from your window or wall and wash them either outdoors or in your bathtub. Be careful to not get water inside the headrail, as this can cause the blind to malfunction. Step 5: Maintain your blinds to make cleaning easier in the future. It’s a fact of life that blinds tend to attract and accumulate dirt, dust, and debris. However, a few preventative measures and regular cleaning can keep them looking great year-round and eliminate the need for extensive cleaning in the future. One of the best ways to prevent accumulation on your blinds is to install screens on your windows. This prevents most airborne particles, including allergens, from getting inside your home and collecting on your blinds. Another preventative measure you can take is to always spray window cleaner on your paper towel or rag and never on the window itself. This keeps it from spraying backwards and ending up on the blinds where it can attract dirt and dust. Finally, make it a habit to use a feather duster on your aluminum blinds at least once per week to prevent debris from accumulating.